In spite of various treatment options currently available, ovarian cancer (OC) still remains a leading cause of death in women world-wide. Diagnosis at an early stage is one of the most important factors that determines survival. Current clinical diagnostic tools have, however, a limited efficacy in early OC detection. Therefore, there is a critical need for new (early) diagnostic biomarkers and tools. 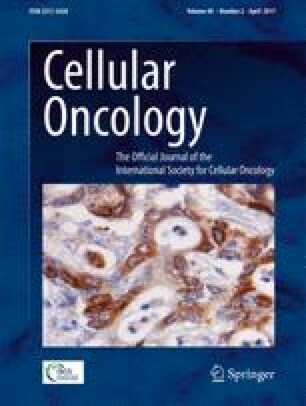 Through advances in genomic, proteomic and metabolomic techniques, several novel molecular OC biomarkers have recently been identified. These biomarkers are currently subject to validation. In addition, integration of genomic, proteomic and metabolomic data, in conjunction with epidemiologic and clinical data, is considered essential for obtaining useful results. Interesting recent work has already shown that specific diagnostic biomarkers, such as BRCA mutations, may have profound therapeutic implications. Here, we review the current state of OC research through literature and database searches, with a focus on various recently identified biomarkers via different technologies for the (early) diagnosis, prognosis and treatment of OC. Multi-biomarker panels accompanied by a meticulous determination of their sensitivity and specificity, as well their validation, using multivariate analyses will be critical for its clinical application, including early OC detection and tailor-made OC treatment. The online version of this article (doi: 10.1007/s13402-016-0309-1) contains supplementary material, which is available to authorized users. We are grateful to Pr. Fourtassi Maryam, associate professor of physical medicine and rehabilitation at the Medical School of Oujda-Morocco, for her constant encouragement and to Pr. SELLAM Amar for revising the English of the manuscript.